From ancient Egyptians to modern-day witches, King Solomon to Native American shamans, individuals throughout time have possessed the power to work with the spirit world. But it's not necessary to be a Tibetan holy man or ghost hunter to communicate with the other side. Everyone has friends beyond the veil, as author Christopher Penczak explains, "A spirit ally is a being in the unseen realms who, for whatever reason, decides to aid, befriend, protect, or teach us while we live our own Earthwalk." He dispels the shadowy ambiguity and fear surrounding the existence of these spiritual entities, shares compelling personal anecdotes, and offers straightforward techniques--such as relaxation, automatic writing, and oracle interpretation--to help readers contact their own guides. 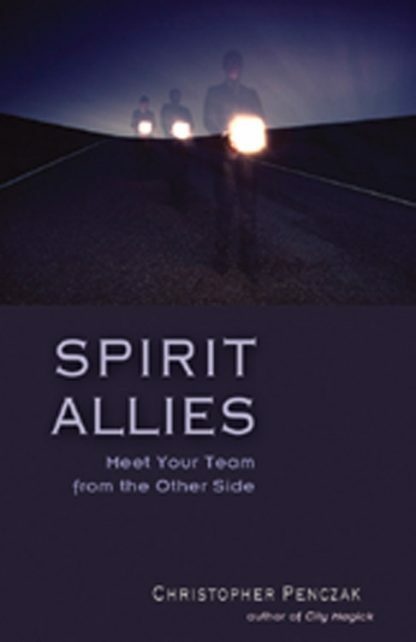 Through 30 simple exercises, Spirit Allies helps readers find their Power Animal, dream journey, speak with devas, communicate with ancestors and ascended masters, meet their personal spirit allies, and much more.